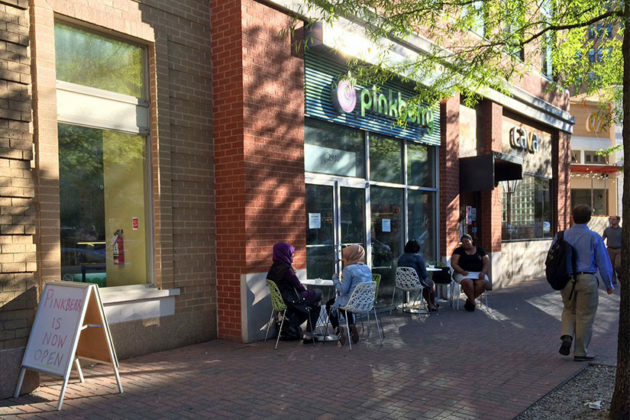 (Updated at 9:45 p.m.) The Pinkberry frozen yogurt shop in Clarendon is back open after apparently closing for a period of time. 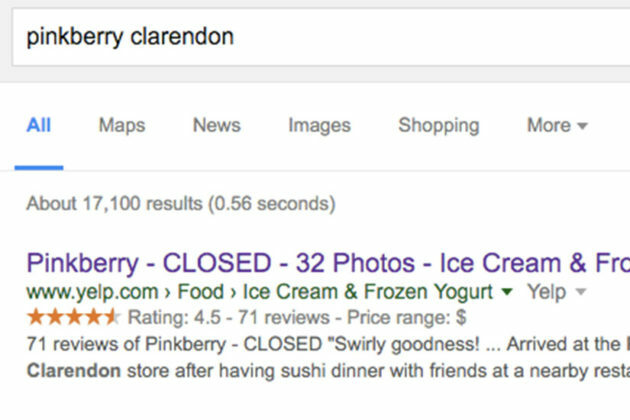 The shop, at 2930 Clarendon Blvd, is marked closed on Yelp and as soon as mid-March a tipster asked ARLnow.com whether it had closed for good. 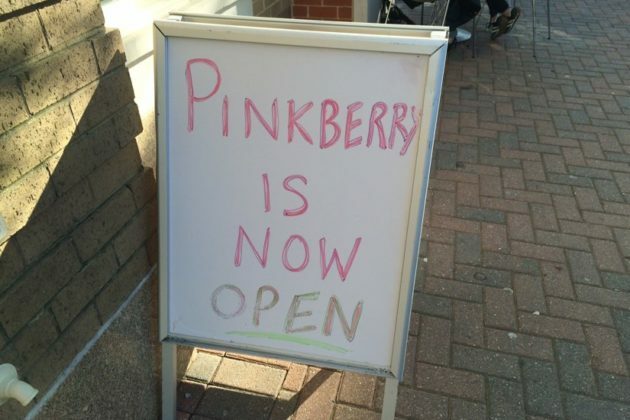 As of today, the store was open and serving customers, with a sign saying “Pinkberry is now open” outside. Signs posted on the windows say the store is now hiring. We’re told the store closed for the winter, but didn’t post any signs stating that the closure was temporary. Pinkberry’s parent company said such decisions are up to the individual franchisees. The lone employee inside around 5:30 today said she wasn’t sure when the store first reopened. The store also closed in late 2014 after its franchise owner went bankrupt. It then reopened last May, before apparently closing over the winter.